Neill Blomkamp (Afrikaans pronunciation: [ˈnil ˈblumkamp]; born 17 September 1979) is a South African-born Canadian film director, producer, screenwriter, and animator. Blomkamp employs a documentary-style, hand-held, cinéma vérité technique, blending naturalistic and photo-realistic computer-generated effects, and his films often deal with themes of xenophobia and social segregation. He is best known as the co-writer and director of the critically acclaimed and financially successful science fiction action film District 9, for which he was nominated for the Academy Award for Best Adapted Screenplay. He directed another dystopian science fiction action film Elysium, which garnered moderately positive reviews and a good box office return. He is known for his collaborations with South African actor Sharlto Copley. He is based in Vancouver, British Columbia. Founder of Oats Studios Directing/Writing District 9, Elysium, Chappie, Rakka, etc. Time named Blomkamp as one of the 100 Most Influential People of 2009. Forbes named him as the 21st most powerful celebrity from Africa. Blomkamp was born in Johannesburg, South Africa. At the age of sixteen, he met Sharlto Copley, who had also attended Redhill High School in Johannesburg. Copley provided Blomkamp with the use of computers at his production company, for Blomkamp to pursue his passion and talent for 3D animation and design. In return, Blomkamp assisted Copley in creating 3D work for pitches on various projects. Blomkamp was 18 when he moved to Vancouver with his family, where he enrolled at the Vancouver Film School. In the late 1990s, he started working in the film industry as a special effects artist and 3D animator. His animation credits include Stargate SG-1 (1998), First Wave (1998), Mercy Point (1998) and Aftershock: Earthquake in New York (1999). In 2000, he garnered his first role of lead animator for the Dark Angel TV series (2000). He was the lead 3D animator for 3000 Miles to Graceland (2001). In 2003, he was hired to illustrate photo-realistic future aircraft for Popular Science's "Next Century in Aviation". In 2004, he illustrated "The Future of the Automobile". 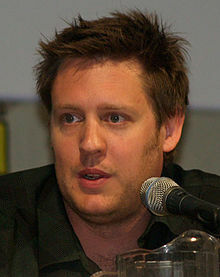 Blomkamp worked as a visual effects artist at The Embassy Visual Effects in Vancouver as well as at Rainmaker Digital Effects, and was signed by Toronto commercial house Spy Films. Blomkamp directed a trilogy of live-action short films in 2007, known collectively as Landfall. They were set in the Halo universe, to promote the release of Halo 3. Blomkamp was then slated to direct his first feature-length film, an adaptation of the Halo series of video games, produced by Peter Jackson. Jackson came to know of Blomkamp after viewing a reel of his commercial work and shorts, shot in his off time. The four shorts that got him noticed included: Tetra Vaal, a faux advertisement for a third-world police robot that established Blomkamp's signature style of mixing lo-fi production with seamless CGI; Alive in Joburg, a gritty mockumentary about extraterrestrials marooned in Johannesburg; Tempbot, an Office Space-esque spoof; and Yellow, a short film based on the colour yellow for Adidas' "Adicolor" campaign by digital studio IDEALOGUE, which portrays a globe-trotting android gone rogue. Blomkamp has admitted since that the Halo pre-production was a nightmare, and relations between 20th Century Fox and Blomkamp severely disintegrated before the project's end. When funding for the Halo film collapsed, Peter Jackson decided to produce District 9 instead, an adaptation of Blomkamp's earlier short film Alive in Joburg, which had been produced by Hansen and Copley. The film, directed by Blomkamp, starring Copley, and co-written with Blomkamp's wife and production partner Terri Tatchell, was released in mid-August 2009 by TriStar Pictures to widespread critical acclaim. District 9 was later nominated for the 2009 Academy Award for Best Picture, along with nominations for Best Visual Effects, Editing, and Adapted Screenplay. In October 2010, a video released on the iPad version of Wired Magazine was credited to Neill Blomkamp. It shows an amateur recording of two young men who find a dead mutated creature in a puddle of mud while driving down a countryside road. The creature, a dog-sized mix between a pig and a lizard, presents a tattooed seal on its side that reads "18.12 AGM Heartland Pat. Pend. USA". "AGM Heartland" was trademarked for its use in an entertainment-oriented website. On 20 February 2012, a 23-second video clip titled "IS IT DEAD?" appeared on YouTube, featuring Yolandi Visser, of the South African group Die Antwoord, crouching over the creature. Blomkamp admitted that he was still interested in making a Halo film in April 2013. After Elysium, he started work on his next sci-fi film, Chappie, in April 2013. The film was based on his own short, Tetra Vaal. Blomkamp directed and Sony Pictures Entertainment (Columbia Pictures) and Media Rights Capital co-produced and co-financed the film, which was released March 2015. In early 2015, Blomkamp posted several pictures to his Instagram page that showed concept art for an Alien film he might have been working on. Included in the art is Ripley and Hicks, a ship bearing resemblance to The Derelict from the 1979 Alien, and a concept Xenomorph. In a February 2015 interview with Collider, he stated that he planned the Alien sequel with Sigourney Weaver in the lead role as Ellen Ripley. On 18 February 2015, Blomkamp himself confirmed that the Alien film will be his next project. In March 2015, he confirmed that he planned more than one sequel to the Alien franchise. The project was shelved in October 2015, pending the outcome of Ridley Scott's second prequel installment, Alien: Covenant. In January 2017, a fan on Twitter asked Blomkamp about the outlook of the film going into production, he responded by saying they were "slim". On 1 May 2017, its title had been revealed to be Alien: Awakening. Though Ridley Scott initially confirmed Blomkamp's film had been officially canceled, 20th Century Fox may reconsider after the fan reception of Covenant. Fans of the franchise have started a petition to help save Blomkamp's cancelled film. In November 2015, it was announced that Blomkamp would be working on adapting the forthcoming Tom Sweterlitsch novel The Gone World, described as a "sci-fi time travel" concept. In 2017, Blomkamp announced the creation of his own film production company, Oats Studios, and confirmed a series of experimental short films and other content titled Oats Studios Volume 1 to be released via Steam. The films will also be available for free streaming on YouTube. These films are distributed to gauge interest in a certain theme, with the intention to expand them into a feature film if deemed viable. The first short, an alien invasion-themed film co-written with Sweterlitsch, is titled Rakka. In July 2018, Blomkamp announced that he would be directing a new entry in the RoboCop film series for Metro-Goldwyn-Mayer. The film will be adapted from a previously-unproduced spec script written in the late 1980s by Edward Neumeier and Michael Miner, the writers of the first film, who will also executive produce the film. Tentatively titled RoboCop Returns, the film will serve as a direct sequel to the first film, ignoring 1990's RoboCop 2 and 1993's RoboCop 3, as well as the 2014 remake. Blomkamp is married to Terri Tatchell, a Canadian screenwriter, best known for co-writing the screenplay of District 9. She was nominated for the Academy Award for Best Adapted Screenplay with Blomkamp at the 82nd Academy Awards. 2004, First Boards Awards - "One of the top five directors to watch"
2004, Cannes Lions International Advertising Festival - "Saatchi & Saatchi New Directors Showcase"
^ "Neill Blomkamp". MovieMaker. Archived from the original on 14 June 2010. Retrieved 7 May 2010. ^ Chris Lee (2 August 2009). "Neill Blomkamp's 'District 9' wins over fanboys and Peter Jackson". Los Angeles Times. ^ David Brake (21 April 2013). "Best Films Never Made: Neill Blomkamp's Halo". One Room With A View. ^ Russell Baillie (18 July 2009). "Jackson's new sci-fi film a return to his origins". The New Zealand Herald. ^ "'District 9' director is no neophyte in an alien land". Chicago Tribune. Archived from the original on 16 August 2009. ^ Wallace, Lewis. "Video: Neill Blomkamp Takes a Stab at Something Creepy (and Cryptic)". Wired. ^ "IS IT DEAD?". YouTube.com. ^ Jim Vejvoda (10 April 2013). "Elysium's Neill Blomkamp Would Still Love to Make a Halo Movie". IGN. ^ "Neill Blomkamp on his next sci-fi film, Chappie". denofgeek.com. 11 June 2013. Retrieved 17 July 2013. ^ "Neill Blomkamp Talks Chappie". empireonline.com. 14 July 2012. Retrieved 17 July 2013. ^ "Sony, MRC Reunite With Neill Blomkamp on 'Chappie'". variety.com. 13 August 2013. Retrieved 14 August 2013. ^ "Neill Blomkamp's 'Alien' Still "May Happen"!". variety.com. 13 August 2013. Retrieved 14 August 2013. ^ "Neill Blomkamp's Alien Sequel Closer to Getting Made". variety.com. 11 February 2015. Retrieved 11 February 2015. ^ "Neill Blomkamp Wants to Direct a New ALIEN Movie and "It May Happen"". variety.com. 11 February 2015. Retrieved 11 February 2015. ^ "Um... So I think it's officially my next film. #alien". variety.com. 18 February 2015. Archived from the original on 19 February 2015. Retrieved 18 February 2015. ^ "Neill Blomkamp Looking to Make More Than One Alien". DC. 18 February 2015. Retrieved 18 February 2015. ^ Vejvoda, Jim (29 October 2015). "Director Neill Blomkamp Reveals Alien 5 on Hold". IGN. Retrieved 31 October 2015. ^ Miska, Brad (23 January 2017). "There's a "Slim Chance" We'll See Neill Blomkamp's 'Alien 5'". Bloody Disgusting. Retrieved 23 January 2017. ^ Stolworthy, Jacob (2 May 2017). "Alien 5 is doomed as the crew of the Nostromo". Independent. Retrieved 4 June 2017. ^ "Fox Reportedly "Reassessing" Future of the 'Alien' Franchise in Wake of 'Alien: Covenant'". Collider. 21 July 2017. Retrieved 6 September 2018. ^ "The Future of Alien and/versus Predator - ComicBookRumors". ComicBookRumors. 30 July 2018. Retrieved 6 September 2018. ^ "Neill Blomkamp already has his next project lined up". ^ "District 9 director Neill Blomkamp on why he's starting his own movie studio". The Verge. Retrieved 6 September 2018. ^ Jr, Mike Fleming (11 July 2018). "Neill Blomkamp To Direct New 'RoboCop' For MGM; Justin Rhodes Rewriting Sequel Script By Creators Ed Neumeier & Michael Miner". Deadline. Retrieved 12 July 2018. ^ "RoboCop is coming back (again), this time from District 9 director Neill Blomkamp". The Verge. Retrieved 12 July 2018. ^ "Why 'Robocop' and Neill Blomkamp Need Each Other". The Hollywood Reporter. Retrieved 12 July 2018. ^ Dessem, Matthew. "It Gives Me Great Pleasure to Introduce You to the Future of RoboCop Movies". Slate Magazine. Retrieved 12 July 2018. ^ "District 9 Oscar nominations: statements from Neill Blomkamp and Terri Tatchell". Georgia Straight Vancouver's News & Entertainment Weekly. ^ "Horror at the Oscars Part 1: The Quickening". Dread Central. ^ "Nike Crabs Play Football". The Inspiration Room. Retrieved 29 August 2009. ^ "Nike Air Huarache 2K4 in Evolution". The Inspiration Room. Retrieved 29 August 2009. ^ "Dancing Citroen Transformers". The Inspiration Room. Retrieved 29 August 2009. ^ "Gatorade Rain – Birth of the New Cool". The Inspiration Room. Retrieved 29 August 2009. ^ Terrence Wick. "Day Survive Video Hits Muchmusic Airwaves". ^ Standlee, Kevin (15 May 2010). "Nebula Awards Results". Science Fiction Awards Watch. Retrieved 15 May 2010. ^ "Neill Blomkamp". Rotten Tomatoes. Retrieved 30 June 2014. ^ "Neill Blomkamp". Metacritic. Retrieved 30 June 2014. ^ "CinemaScore". cinemascore.com. Retrieved 29 March 2015. ^ "Neill Blomkamp Movie Box Office". boxofficemojo.com. Amazon.com. Retrieved 8 April 2015.